Hmm.. I’m still awake! I’ve figured out that people who sleep late are likely having several stuff going on in his mind (like, problems.. and stuff). In my case, one of the ways that I do when I don’t get to sleep immediately is to think some thing. Haha, weird huh? It’s like inception — going through that thing until I’m so deep, and then next thing I know I’m asleep. Sometimes it works, sometimes not. Well, it’s the third day today since I started not to log on at Facebook. Is it because of the issue of spams all around the network? Hmm, kind of. But then, I really decided to try not to be active for a day or two (I’m sure this blog is posted at my wall– it’s automatic!). 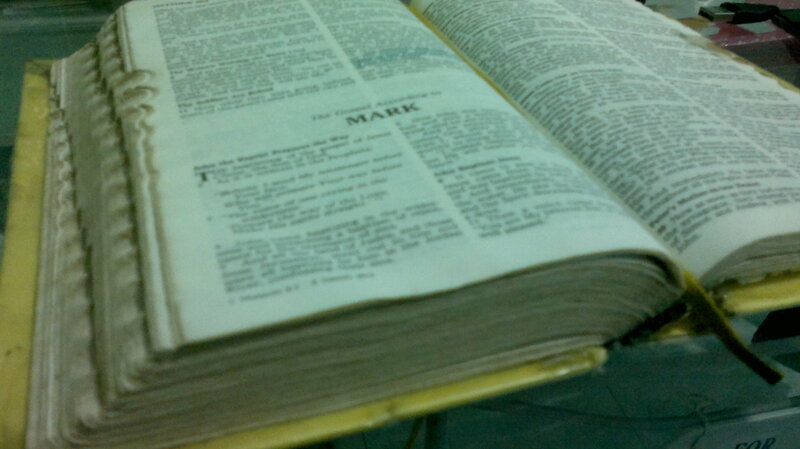 For the past two days, I’ve managed to reach the Gospel of Mark, and finished it that very same day. I give all the glory to God :) The next few hours, I’m gonna be at my school (again, for the 3rd time ~), all for the sake of my OJT requirements. It’s really a trial. I think we can all live even without Facebook. And I’m still not enticed to local telecom’s commercials here about having postpaid accounts just to be active nearly forever. Wait. No, I’m not a Facebook-hater. I’m just trying to be away from all its online ruckus. There’s so much thing to do, to learn, and to unlearn!